Some are so sure that God exists while others are so sure that he doesn’t and then there is a vast spectrum of those in-between. Over thousands of years, where has all of the debating got us? If God does not exist is there a purpose to the existence of the universe? Does purpose necessitate a God? Is purpose necessary? The elements we observe in the universe behave with predictable results along discernable laws and mathematics. Do these laws constitute order? Can order come from chaos? Is the universe really chaotic? Can the universe be “chaotic” when order is observed almost all throughout it? If God exists, then he is hidden from us. If God desires to be hidden, can man reveal him? If God desires to be found, what does he require of the seeker? The late, great LDS scholar Hugh Nibley once said, “What on earth have a man’s name, degree, academic position, and, of all things, opinions, to do with whether a thing is true or not? (Hugh Nibley “New Look at the Pearl of Great Price” (January 1968): 22) What is it about man that we value his opinion so much concerning what is true? Why is one man’s opinion esteemed over another? What unit of measure is truth determined by? 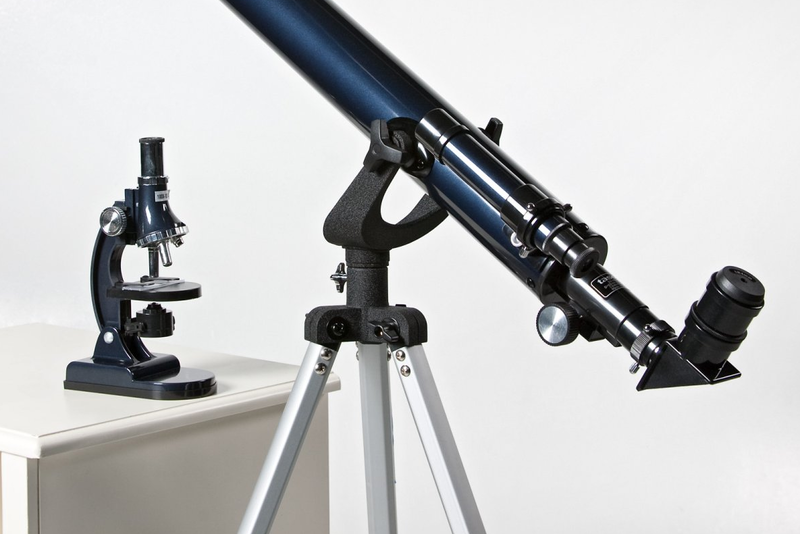 There were once two men; one with a telescope, the other with a microscope. But each man refused to use the instrument of the other. One trusted only his telescope and refused to acknowledge anything that his telescope could not show him. The other trusted only his microscope and refused to acknowledge anything that his microscope could not show him. Each wanted the truth on his own terms rather than the terms that truth required. In what way can we see? In the preceding story, both men could have endlessly debated the veracity of their claims with the strongest rhetoric possible, but the strongest rhetoric is incapable of producing what a few pieces of specially-carved glass could produce. Are you humble enough to try something simple? What exactly are your current judgements based off of? Anything that man can touch, man can be capable of controlling and perhaps corrupting. God reserves the manifestation of his existence through means not available for man to manipulate or replicate. In this, we may be sure of what comes to us from God. The path to knowing God is paved with experiences that will shape us into something godly. The level of your knowledge of God will be reflected in how much like him you will have become and what a fascinating journey it is! Upon these simple principles, we can begin to see the wisdom in God’s ways. If you are looking for the path, you must first find the entrance. At this entrance is a gate and by design, there is a keeper of the gate and he has already shown us the way to enter. Ever knowing but never changed? This reminds me of an interview Ben Stein had with Richard Dawkins, in which Dawkins asserted that there is no God (no surprises here). What was interesting was the hypothetical beginning of life which Dawkins said he would be willing to accept—that a more-advanced form of life could have created life in our universe. Sounds like God to me! In simple terms, the man with the microscope may assume he is a god over all he is observing, and yet ironically choose to disbelieve in a god over himself. How arrogant! I simply cannot come to terms with mankind’s blind assuredness of their own infallibility all the while assuming there cannot possibly be an all-knowing and all-powerful being. Those kinds of debates always end the same – no resolution. I suppose man will continually try and understand God with his microscope.